Brexit and the US Non-Farm Payrolls are the most influential factors for GBPUSD today. 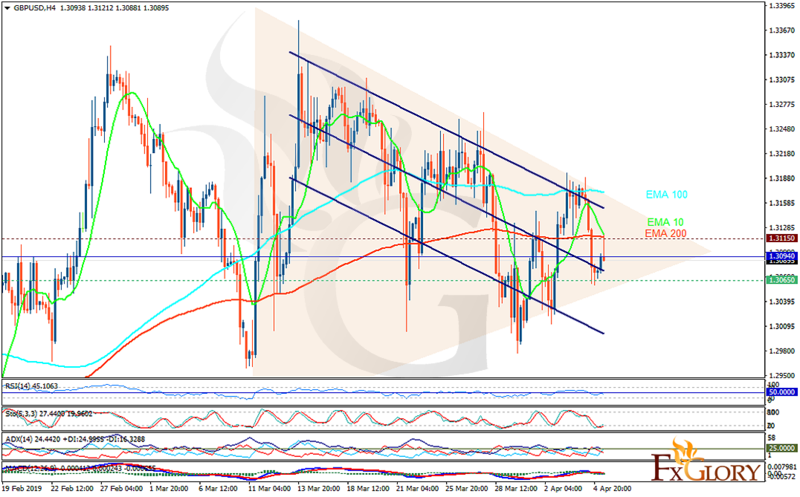 The support rests at 1.30650 with resistance at 1.31150 which the weekly pivot point at 1.30940 is located in between the lines. The EMA of 10 is moving with bearish bias in the descendant channel and it is below the EMA 100 and above the EMA of 200. The RSI moving on 50 level and the Stochastic is moving in low ranges. The MACD line is below the signal line in the negative territory. The ADX is showing buy signal. The resistance level breakout will push the price higher towards 1.31500; otherwise, GBPUSD may continue its bearish trend towards the previous low at 1.30500.